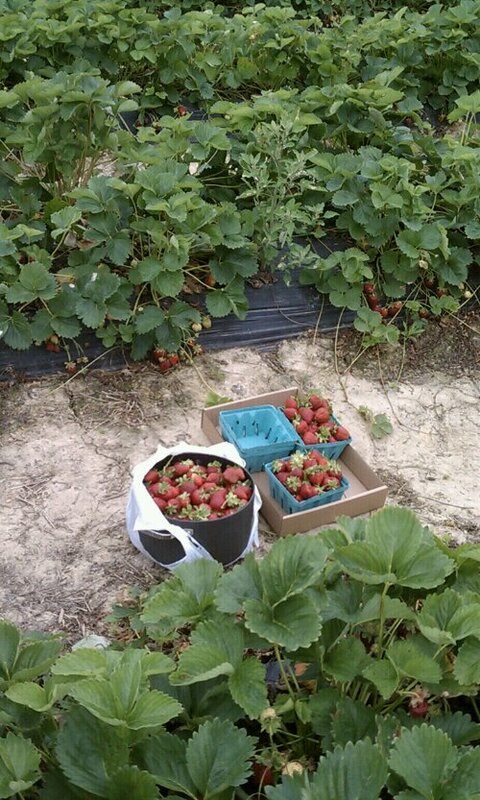 It’s strawberry season right now. 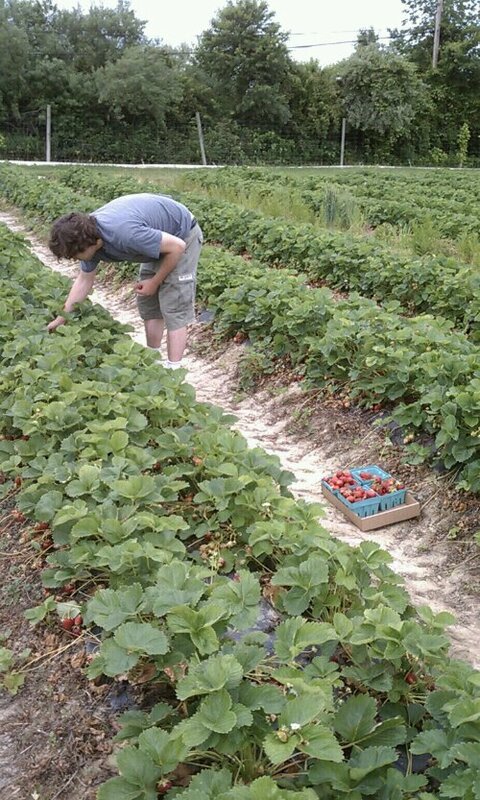 So, we went strawberry-picking with friends in New Jersey. Because if you’re going to eat food straight out of the ground, go all the way and eat food straight out of the ground in the most chemically-laden ground in the United States. In New Jersey. Mr. B was slacking, because he ate more than he picked. “They don’t weigh YOU before and after…only your containers.” Afterwards, as we picked, we eavesdropped on the conversations in neighboring rows. Since the farm is near Princeton, they were conversations about the true nature of Lambda as a variable and whether the white parents’ Chinese child was going to sleepaway math camp that year. I wish I made any of that up. What do I love more than strawberries? Petting Farm animals. 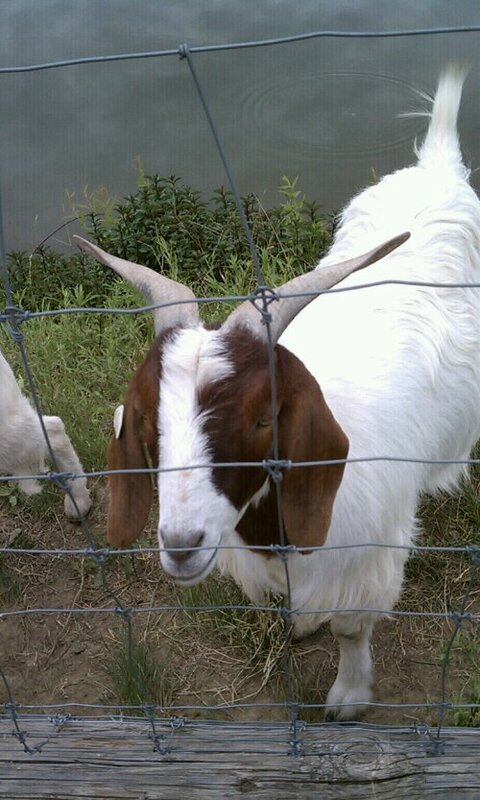 Goats are particularly cool because it’s fun to touch [It’s strawberry season right now. 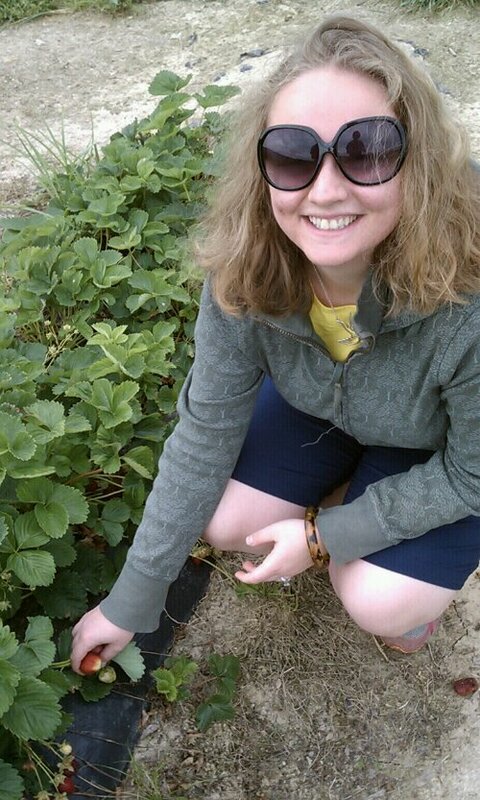 So, we went strawberry-picking with friends in New Jersey. Because if you’re going to eat food straight out of the ground, go all the way and eat food straight out of the ground in the most chemically-laden ground in the United States. In New Jersey. The only problem with natural strawberries is that they ruin almost right away, so Mr. B and I ate at least three containers of strawberries over the past two days. And there are four more containers for us waiting at home.